The Regiment of the Black Watch is normally located in Scotland… I was supposed to photograph the Pipes and drums of the regiment but finally had a chance to visit it in Belfast, North Ireland where they will stay for two more years. 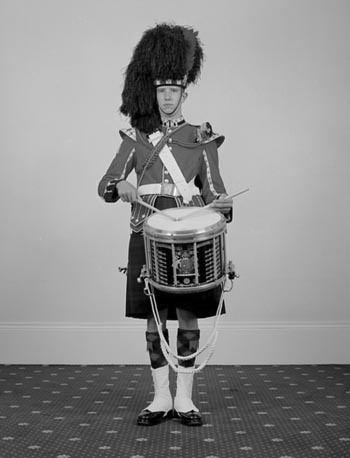 I found the black watch regiment more than impressive, with a very brit style and a powerful attitude. Imagine these bagpipers, during the first world war, walking straight to the battle with a bagpipe for only weapon… That can be only impressive and somehow surrealist. But it works.